Hello Friends! Welcome to December! 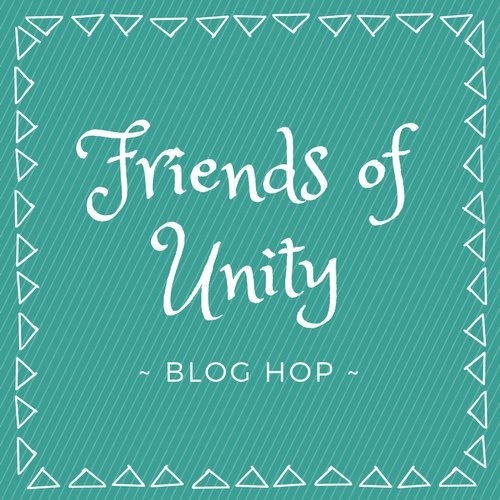 And welcome to our Friends of Unity December Blog hop. This weekend calls for a special celebration as it is our One Year Anniversary! Cue the band and balloon drop! 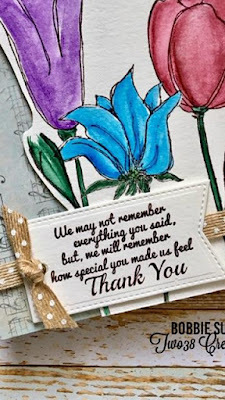 ;) In celebration of this day we chose the cue "Thank you" in appreciation for Unity Stamp Co. It is because of the incredible stamps from Unity that two of my friends created this wonderful group. We are also celebrating our appreciation for YOU! Those of you that follow along, play along and support us along the way; we thank you! I love the month of December for so many reasons. I love the spirit that seems to fill the air just a bit more joyfully this time of year. The cooler temperatures here in Texas. Most importantly, the celebration that surrounds our Saviors birth. I am loving this first card I have to share with you! I made this card for my sister, Tina. She has supported me through all my ups and downs as I journeyed in this life lost for many years. I was once truly lost in this world, and she ALWAYS saw the good in me. Even when I couldn't see it in myself. She and my daughter have been my number one cheerleaders. Rooting for me as I finally made my way to a life filled with peace, consistency, security, and above all else, love. I treasure her friendship as well as her sisterhood. This next card did not turn out quite as I had envisioned. I still find it pretty, and decided to go ahead and add it because I love this flower set. I didn't realize how large and beautifully designed the Poppy Background stamp from Donna Downey is. It is just gorgeous! If you know this stamp at all you may notice I altered it a bit. I cut the leaf separate from the flower stamp so that I could stamp it on any of the stems I choose. I made this card in appreciation for the first lady of our church. Our Pastor's wife. She is a true model of the Proverbs 31 woman and just a lovely woman of God. We will be honoring her soon at our ladies Christmas luncheon, and this card will go in her gift basket. Here are the details of this card. I blended a dark red and brown to get the beautiful maroon color for the flower on the right. I really love it. (I used this same blend on the image that portrays me on the girls card above) I scissor trimmed around the left side of the flowers and popped them up with foam tape. I am loving the music themed paper peaking from underneath. It is also a 4.5 x 6.5 cardstock set by The Paper Studio called "Josephines Miscellany". The sentiment is from an Angie Blom set called "Remembering you Blooms". I die cut the senti with a stitched pennant from Verve Stamps. I am sorry to say that they are no longer in business. I own many stamps and a few dies from this lovely (now retired) company. Would love to hear your thoughts on these cards! For those of you who fully read my blog, I thank you so very much. I love being able to express myself through creating and writing, and I love sharing both with you. I hope you have a chance to visit each blog. I know they are all equally as wonderful and unique! If you've not, please see the blog hop list at the bottom of this post and prepare to be inspired! There are some pretty awesome giveaways with this hop! Including one from myself! Be sure you comment on EACH blog post to be entered in the drawing. This months winners will be announced during next months blog hop! Speaking of giveaways!! 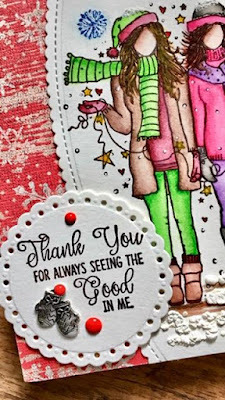 Congratulations to Shelly Schmidt for being my winner from last months FOU blog hop! Please message me your contact information. Friends, please know that our hops are not sponsored. (Although, I know Unity Stamp Co. lovingly approves) Because your support is so valuable and so appreciated, prizes are given from the creators own private stash of Unity stamps. Forgive any grammar mistakes you may find. However, I am always open to friendly and constructive criticism or correction. Please know, I write my blog out of absolute enjoyment and do not stress over possible minor errors within the layout. I appreciate you, friends! Bobbie Sue, it’s clear your cards were created with love by how beauitfully they were put together and colored. Both are a work of art! Just beautiful! Thank you for such sweet words, Joyce! I actually struggle with making generic cards! They need to have meaning behind them! Very nice cards!!! I like the use of the music for the background on the flower card. Beautiful coloring with the girls! Both of your cards are beautiful. I have both kits and they are well loved. I love your design layouts! I've never used a snow marker before. Thinking I need to get one now. Those flowers are stunning and made me think of and look forward to spring. As always.....your talent, your words, your zest for life inspire me!! Your cards are so very incredible!! Love you my friend!! 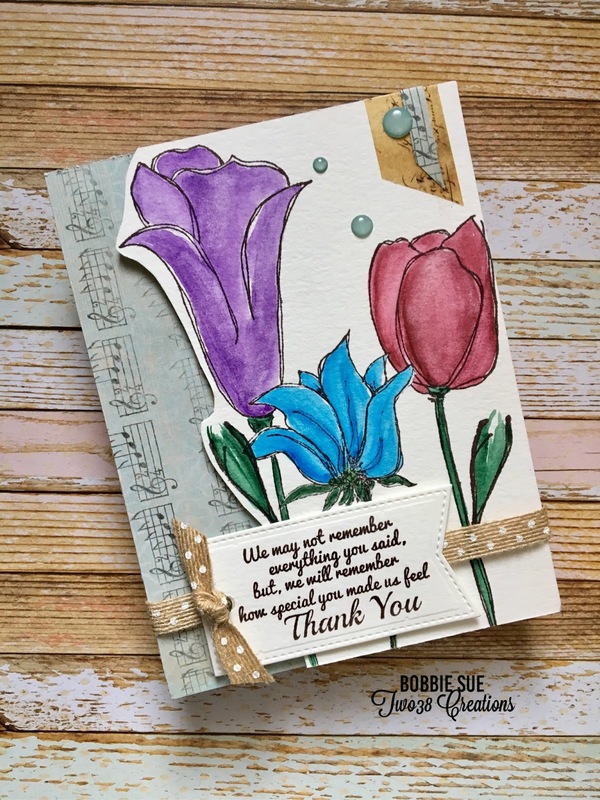 Bobbie Sue, the card for your sister is absolutely amazing!!!! I love everything about it from the stamps to the coloring to the paper to the sentiment to the mitten charm. Your love for your sister is so obvious by the way you wrote about her and this card. Beautiful!! My sweet Meg! Thank you! You are so very sweet to me! Bobbie Sue, your cards are so beautiful... just like you, my friend! I love reading your blog... it comes from your sweet heart and it touches me each time. Your first care inspires me to make a card for my sister... we don't talk nearly enough... I need to send her some love. Your second card is lovely! I love those beautiful flowers and the music paper in the background is perfect! Thank you for the inspiration, as always! 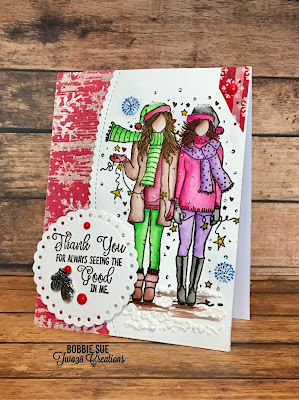 Bobbi Sue, both of your cards are so colorful and pretty! Thanks for sharing them with us! Your first card is so bright and cheerful with all the happy coloring. It's truly beautiful. I love the texture with the snow. And your pastor's wife is going to be thrilled to receive such a pretty card. That's a beautiful thank you sentiment. Both gorgeous card Bobbie Sue!! Love the one for your sister!! The other one is so pretty too, love your watercoloring!! Oh! I just LOVE your sisters card. Just amazing! I love the sisters, I love your story about your sister. It's important to have that support. And I'm glad you've endured your journey to finally have love, peace, and security. You have a lovely soul. And the snow is a wonderful addition and great texture. The flower card is just lovely and your pastors wife will love it. It's very thoughtful. And your coloring on both cards and always is amazing! I'm just in awe! Just wonderful inspiration and I am thankful to you and all the FOU girls. Happy Holidays! Kim, you always comment such sweet and uplifting words. Thank you so much. I, too, am so thankful for our FOU group of awesome ladies. Beautiful, beautiful cards. The snow on the hats is such a fun touch. What a lovely tribute to your sister. Beautiful cards! I love the layering and colors on the first card! And those beautiful blooms on your second card! I always love your art because you can tell you put your heart in it💚 I love the Angie sisters. Great job coloring and the snow added that special detail. The flowers are beautiful! Thanks for sharing. Such lovely cards! The sisters are delightful! The flowers are gorgeous! Wow! Your work is so inspiring! Just beautiful! Pretty and colorful cards. I like the special details you add. 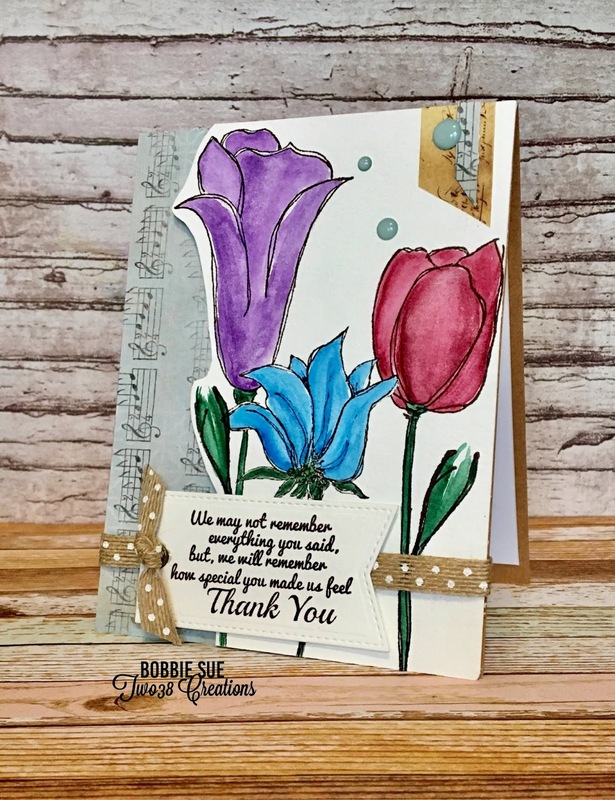 Bobbie Sue, both cards are beautiful! Your sister and pastor’s wife are going to adore them. I love your honesty! You are truly a beautiful soul! Love your cards, especially the snow! 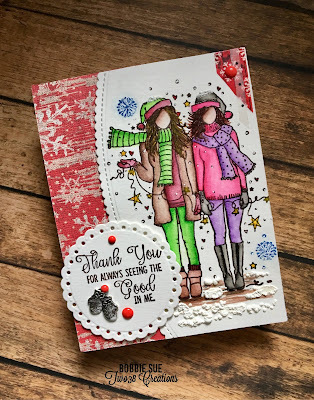 Your card with the two women is just gorgeous and I love the textured snow! Isn't it wonderful when friends and family help us to believe in ourselves? Love your card with the Shine Bright Girls! Thank you for the information on the snow pen...will definitely have to check that out!! Thank you for sharing your lovely creations with us! Shine Bright Girls is also a favourite of mine...nice card! Both cards are beautiful but your story on the first one just warmed my heart, and I personally love that stamp set. What a blessing to have such a faithful support in your sister. Thank you for sharing. Beautiful! What a nice story behind the cards. You are truly blessed with such wonderful people in your life and how thoughtful to thank them with your creations. You know I love those Angie's Girls!!! Your card is so bright and so pretty!! BUT, oh my word! the sentiment on your second card nearly has me in tears! I cannot love that enough!! The flowers are SO pretty! I just love every single inch of it! So #2 is my favorite! "SHOCKER"
Bobbie Sue! You have blessed my life in so many ways! I love it when I open my mail, and SURPRISE! there is something from you in there!! I love when out of the blue, you message and say, how are you today!! You are a true friend to me! I want to say thank you! from the bottom of my heart! I love you, Bobbie Sue! And I appreciate the friend you are in my life.. MUAH! Oh my dear friend! You have no idea how deep you’ve touched my heart and moved me. I don’t even know what to say I’m so humbled. I truly appreciate your friendship. You are special to me and I love you, Robyn!! Once again you have created beautiful cards with a beautiful story behind them. I always read your posts...they are so upbeat and then there is the gorgeous artwork that you create. The one criticism I have is that YOU make my Unity wishlist grow longer and longer each time I see one of your cards. I have to have that sentiment...how great is that? So many uses. Off to Unity to put it on my list, lol. 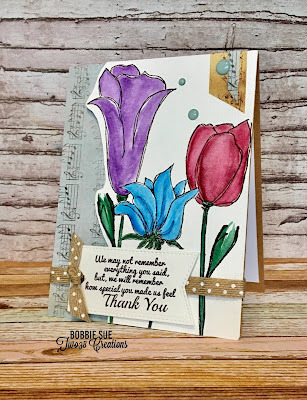 Beautiful cards, Bobbie Sue!I love the bright colors and festive feel on the first card and I love the subdued beauty of the second one. Sisters are special! Love the card. Those girls are so lovely. I love the snow and stamping in something other than black too. I try to remember to do that sometimes. Both your cards are really gorgeous! I love your first one! The girls are so beautiful! Great colors and design too!!! Oh heavens, your cards are always amazing. The love your pour into them- and how specialized the meaning of each one! (Unity has the best sentiments!). You should ask Angie to make a girl in a skirt : ) Love the girls and your watercoloring, and loving your flowers. Just fabulous!!! Thank You for picking me for Blog Candy! And, Happy Birthday and wonderful 1st Anniversary for your blogging group! OMG I am in love with the Angie girl card!!! Congrats to Friends of Unity for a year of hops and happy birthday to you! Amazing coloring and fabulous cards!